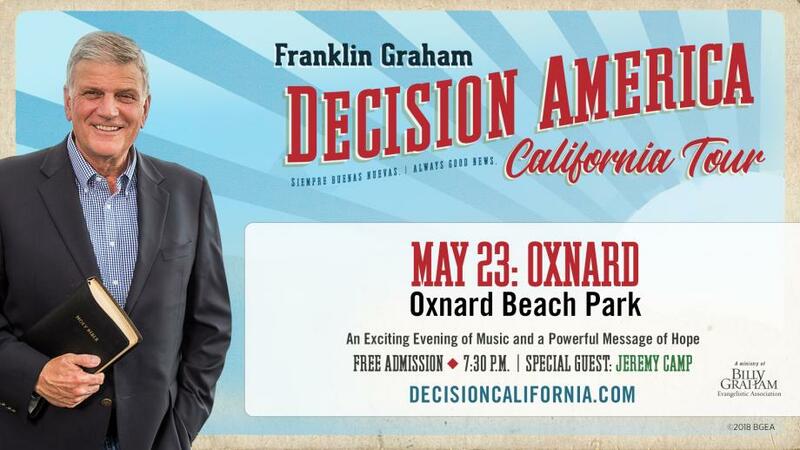 Before the Franklin Graham Decision America California Tourbegins next month, will you help get the word out in your community? You can tell others about this Gospel outreach without even leaving home—just visit the link below, download social media graphics, and share them on Facebook or Instagram. Please also prayerfully consider inviting one—or more—unsaved family members, friends, neighbors, or co-workers to the event in your city, where they’ll hear a clear presentation of the Good News of Jesus Christ. You can also learn how to share your faith in the upcoming Christian Life and Witness Course, while fellowshipping with other believers who share your passion. Tell others about Jesus Christ in a more confident and meaningful way. 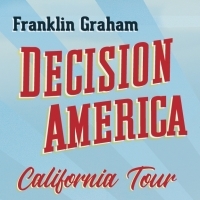 Find locations and dates at DecisionCalifornia.com.